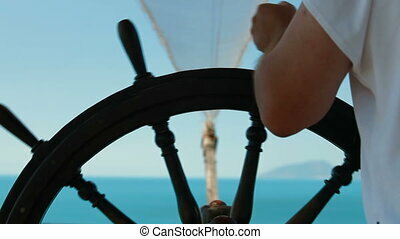 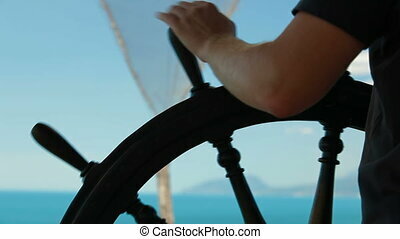 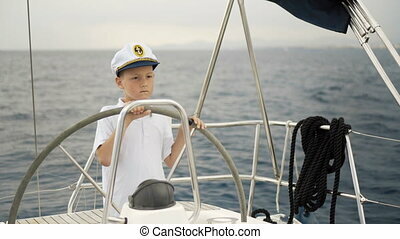 Sailor at the helm. 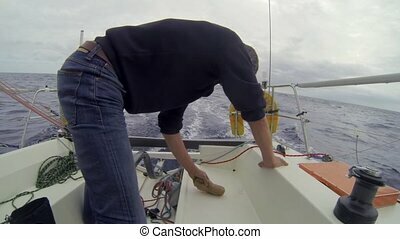 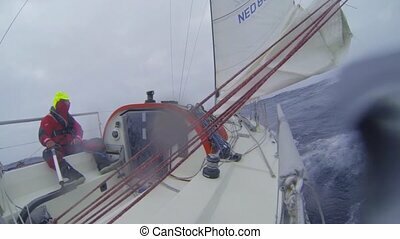 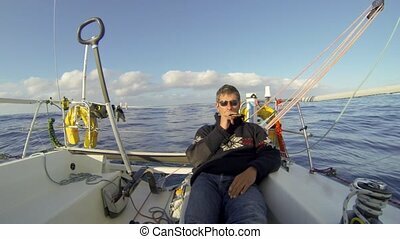 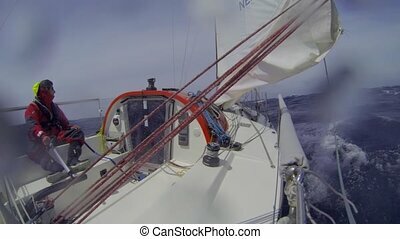 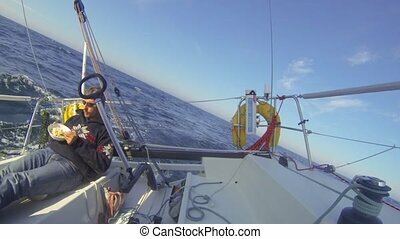 Single handed sailor steering his boat through at hight speed, during a race over the atlantic ocean. 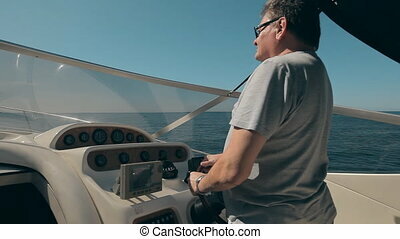 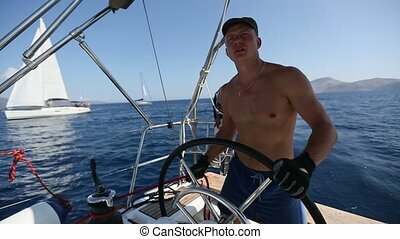 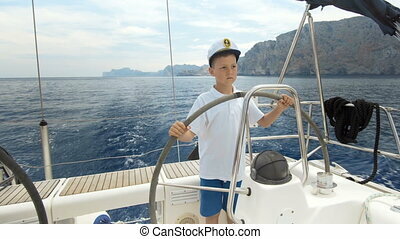 Russian skipper at the helm controls of a sailing yacht during race. 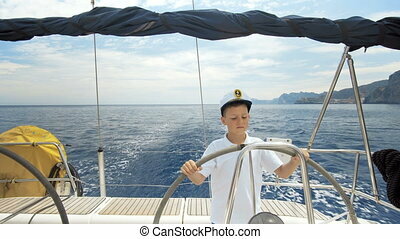 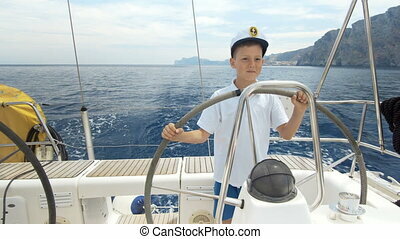 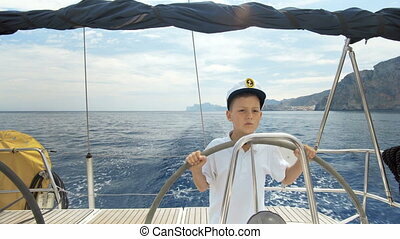 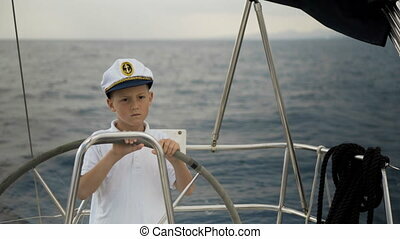 Litle children skipper at the helm controls of a sailing yacht during race. 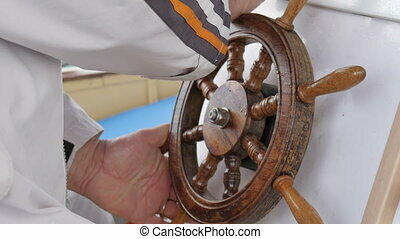 Naval gyrocompass. 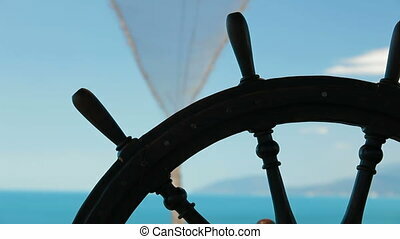 Navigation devices on the ship. 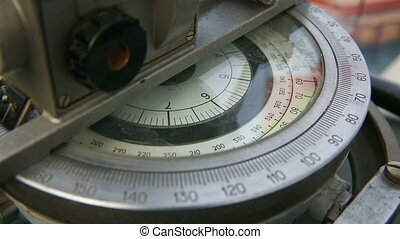 Marine gyrocompass at working, close up. 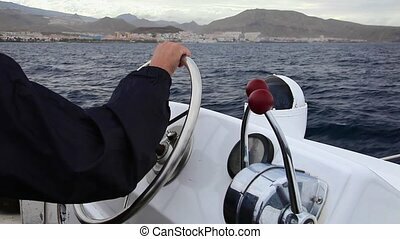 Indications on navigation devices of the sea vessel.